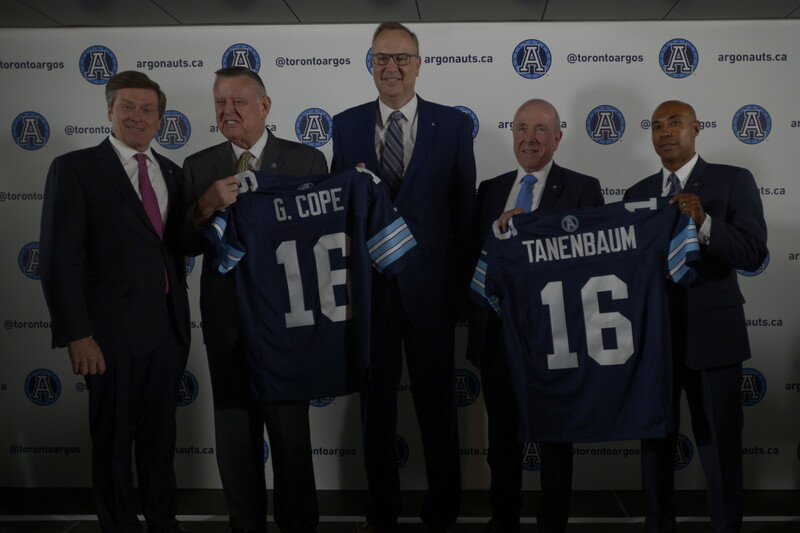 TORONTO, May 20, 2015 – Bell Canada and Larry Tanenbaum’s Kilmer Group today announced their agreement to jointly acquire the Toronto Argonauts Football Club of the Canadian Football League (CFL) from sports entrepreneur David Braley. Financial terms of the transaction, expected to close on December 31, 2015, were not disclosed. “The Argos are an important team for this great city and a crucial component in the ongoing success of the Canadian Football League. We’re delighted to invest in the most successful Canadian pro football team of all time, and look forward to seeing the Boatmen play at beautiful BMO Field next year,” said Larry Tanenbaum, Chair of Toronto-based investment company Kilmer Van Nostrand Co. Limited and Chair of Maple Leaf Sports and Entertainment (MLSE).